Originally from Wisconsin, Amanda grew up on a farm with plenty of animals for meat and production. When she moved to Alaska in 2000, she knew she wanted to share part of that childhood with her own children. While she loves the idea of families raising meat animals and she’s totally ok with the concept of raising pets that will someday become food on their table (she’s a farm girl, after all), she’s realistic about the time and labor commitment. 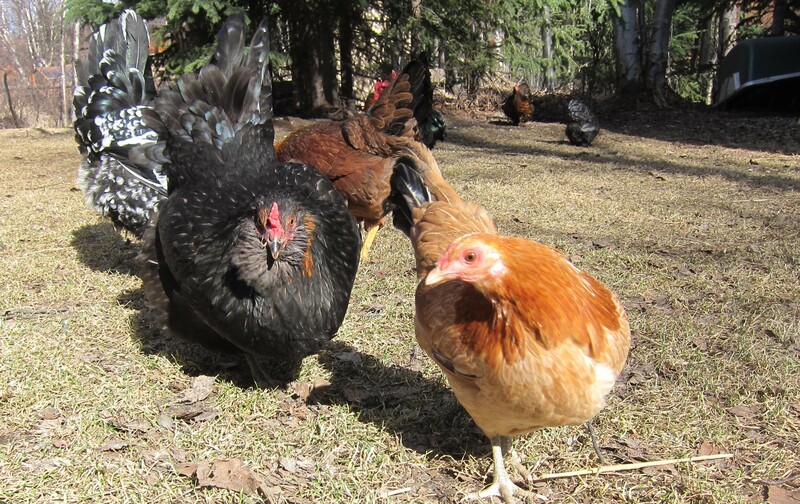 Living in Anchorage, the municipality limits the size of her flock, so it just makes more sense to have egg hens year-round than it does to have meat birds. 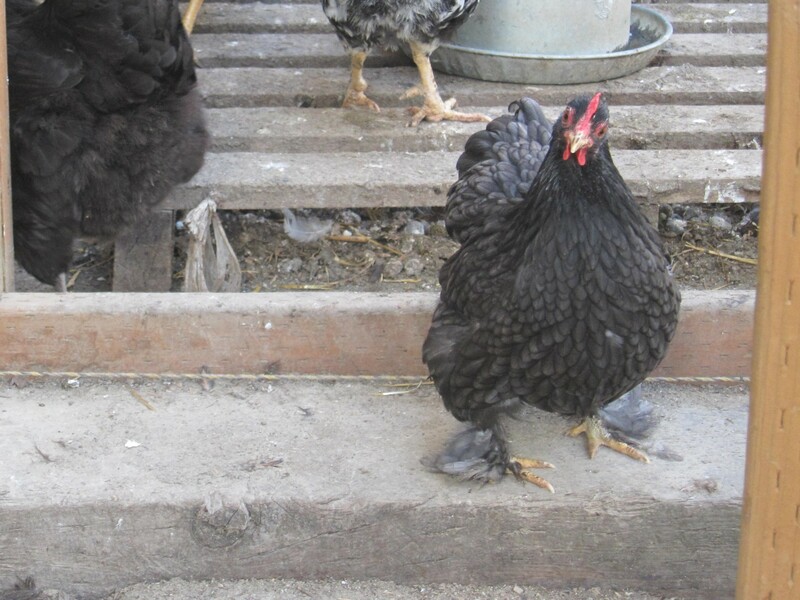 Amanda currently has a mixed laying flock with 10 hens – 6 standard & 4 bantams. She has small children, and they all love naming new birds and helping to collect eggs. In Amanda’s home, chickens are important not only for eggs, but also for education. She enjoyed her farm-life childhood, learning how to take care of animals for food purposes. She wanted her kids to grow up with that respect, too, gaining knowledge about poultry care and having a greater understanding of where their food comes from. Her kids take an active role helping to take care of the chickens and collect eggs. 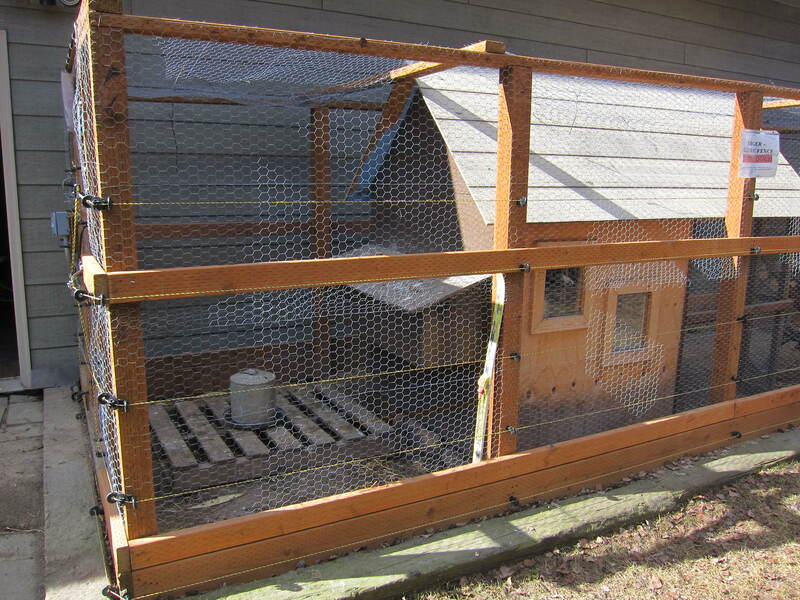 When Amanda decided to start her urban flock, she found a pre-made coop online that was built by some college men. 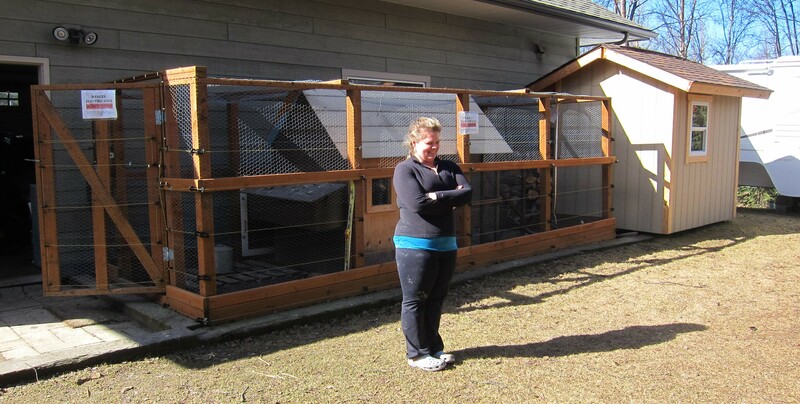 Soon after she set up the original coop/run in her yard, she decided to build a bigger run around the original coop to give her ladies more space, with the plan that someday the newer, bigger run area will someday be the main run. A family friend is working on building a new, bigger coop (the tall shed-looking structure on the right of the run in the photo above). 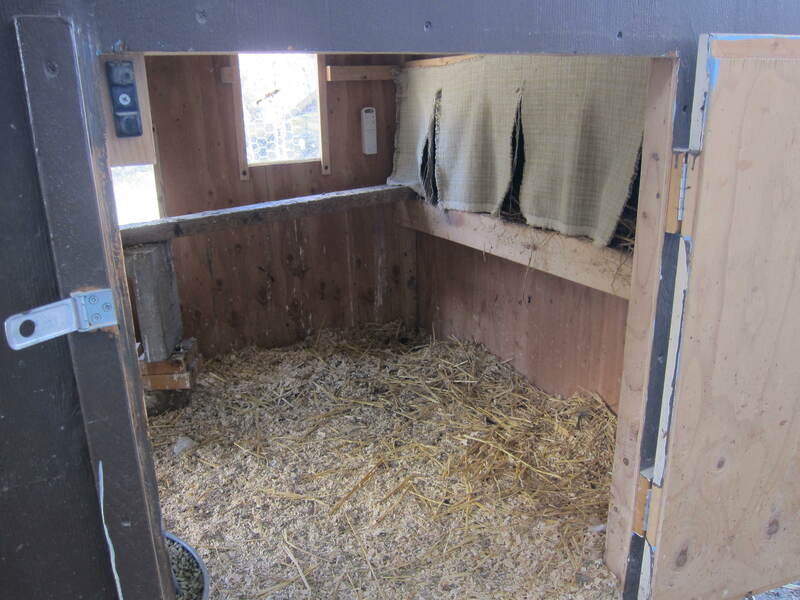 Once the new coop is done and attached to the run, she’ll eventually take the old coop out from the inside of the new run and attach a door to the shed coop. I asked what her plans are for the smaller coop that’s currently enclosed by the large run, and a big smile came across Amanda’s face. “I’ll probably save the smaller coop for chicken math!” she responded. 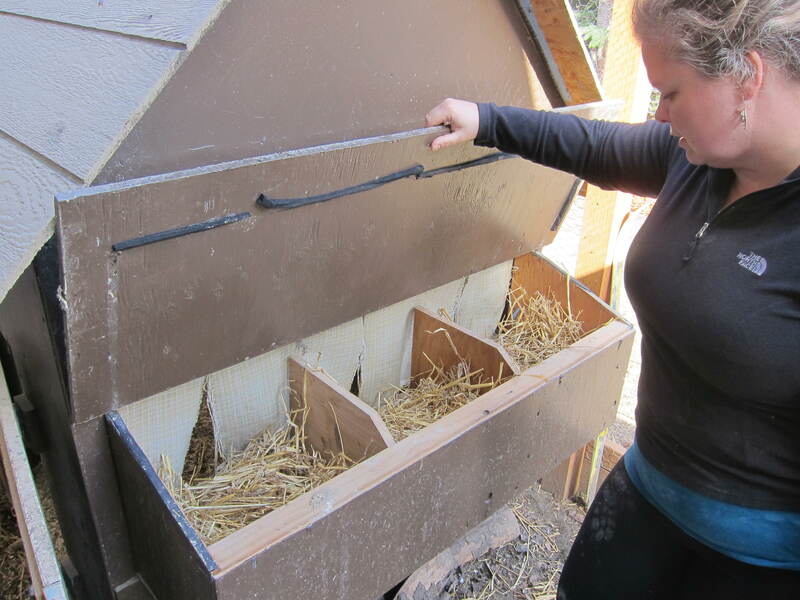 When Amanda was looking at the design of her original coop, she wanted to add some insulation in the roofing to help keep her hens warm during the winter. She doesn’t heat the coop in the winter, but she did want some insulation in the coop. She added a few sheets of big, flat insulation – the kind with one side silver and shiny, and the other side white. Amanda attached it to the walls with the shiny-side facing in the coop, forgetting how much chickens like to peck at shiny things! Within a day, the chickens ate out the roofing insulation. Another coop learning moment for Amanda was troubleshooting how to prevent her hens from roosting at night on the nesting boxes. She was having issues with the ladies sleeping on the ledge of nesting boxes at night, then having extra poop-covered eggs the next day. She found some fabric and put little curtains up over nesting boxes. 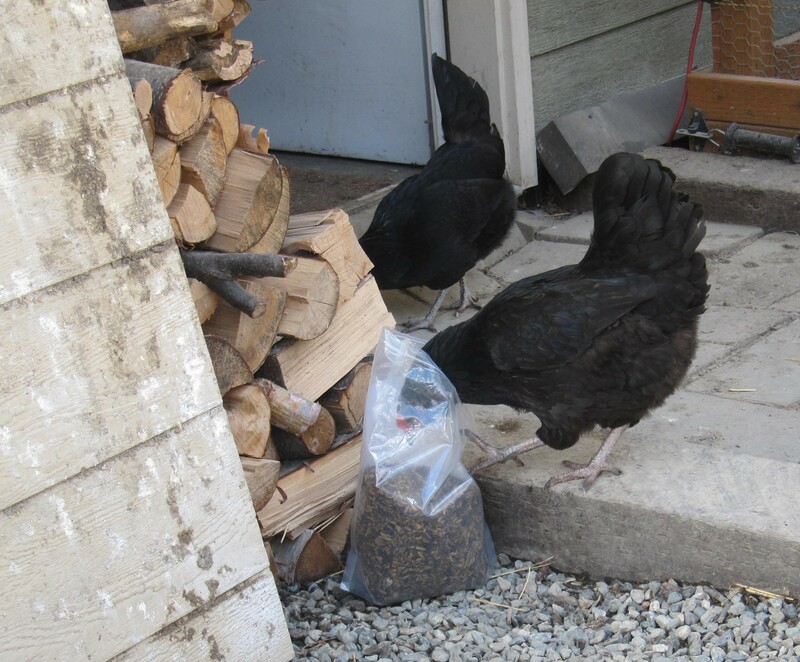 That simple tweak was enough for the hens to stop roosting on the ledge of their boxes. Curtains totally solved the problem. 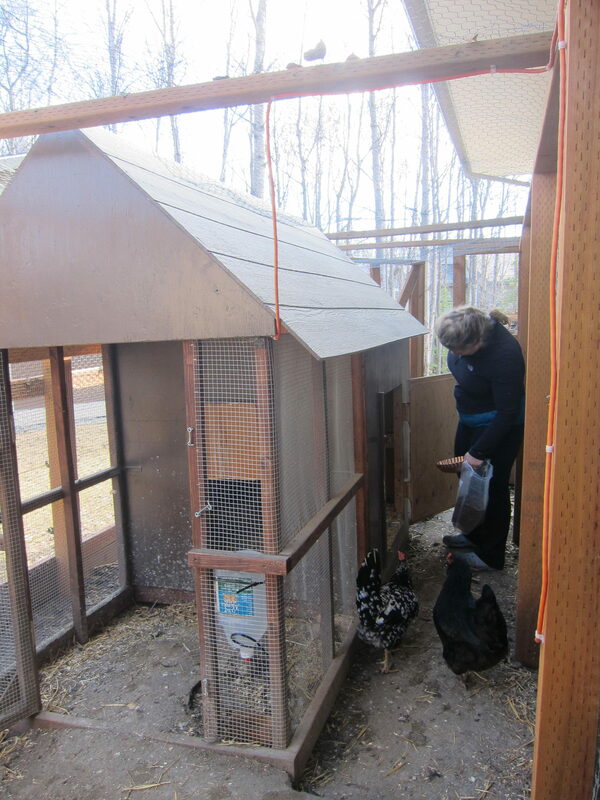 When she initially got the coop, she started with the water container inside. After humidity concerns, she decided to move the waterer outside of the coop. She puts it up on a pallet to keep it off of the mud during Alaska’s wet spring breakup season. Putting the water container on a pallet also prevents chickens from kicking dirt into it, keeping the water cleaner longer. It seems each chicken owner has their own opinions about where food and water should be placed, but that’s what’s been working quite well for Amanda’s hens. 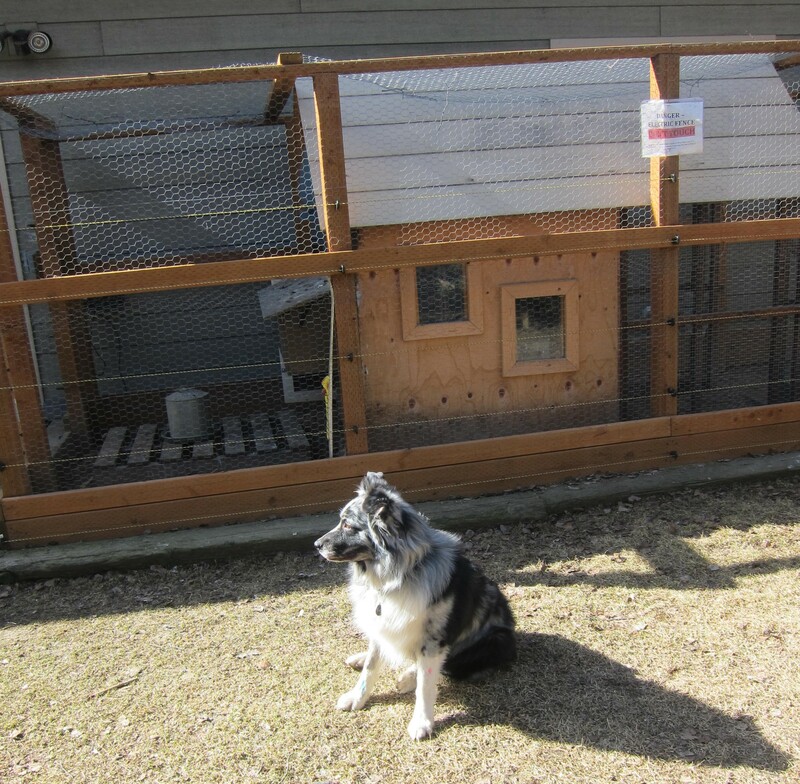 While she hasn’t had a bear incident yet, being in a woodsy south Anchorage neighborhood, she’s taken preventative measures so her hens are protected in case they do encounter a bear in the yard. Her husband found parts to construct a sturdy 10,000 volt electric bear fence around the chicken coop run. They generally don’t turn it on in the winter, because bears are hibernating. While Amanda’s chickens happily scratched around the backyard, her dog (an Australian Sheppard) and her daughter were outside playing, too. It was a pleasant site – everyone was at ease and enjoying the sunny spring day. Her dog is totally fine with chickens and respects them as part of the family. The only dog-related incident she’s had with the chickens was from an unleashed roaming dog in the neighborhood – not her own dog. 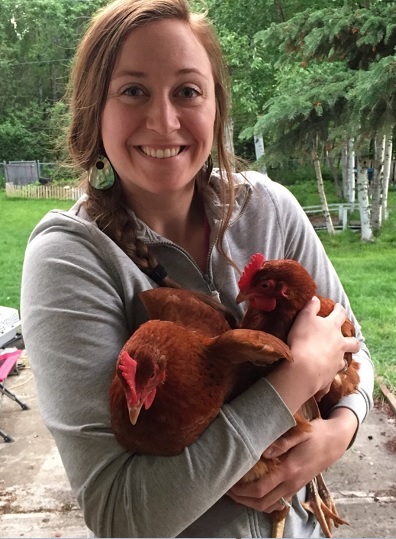 The aggressive neighbor dog killed one of her hens and injured another, but that was the only issue Amanda has had with other animals in the years she’s been keeping backyard chickens in Anchorage. When I asked Amanda about how many eggs her 10 ladies provide per day, she said they’re giving her more than her family can eat and she loves it. She really enjoys giving eggs away as presents to friends and her children’s teachers. She said a dozen fresh, multi-colored eggs from her mixed flock is one of the best gifts she can give. The delicious, beautiful eggs from a homegrown flock are something you can’t buy in a grocery store, so they’re extra special. Plus, each person who receives a carton of her incredible eggs receives a touch of friendly education about chicken keeping. It’s surprising how many people don’t realize how many colors of chicken eggs are possible! Even though Amanda cared for chickens when she was a kid on her family farm, now as an adult, she has a new appreciation for them. She said she forgot how much fun it is to have chickens – each of her hens has a wonderful personality, and they’re super entertaining. 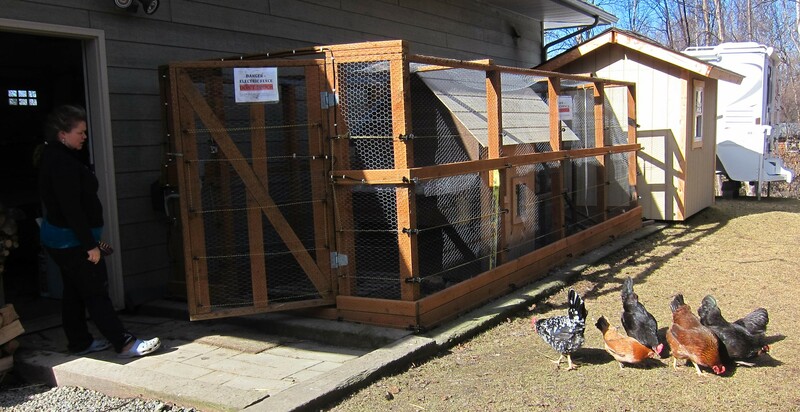 Want to see another urban chicken coop setup? 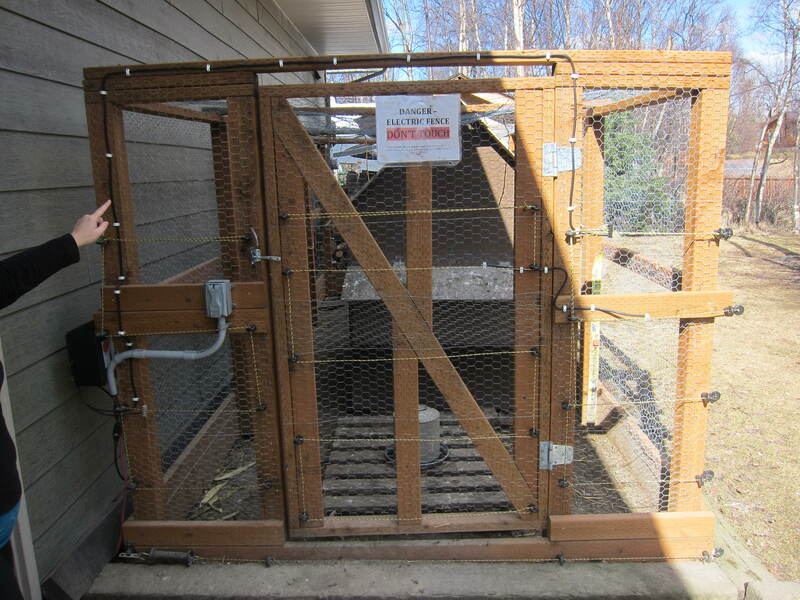 Louse in Anchorage has a coop for her hens that’s complete with a chicken drawbridge.